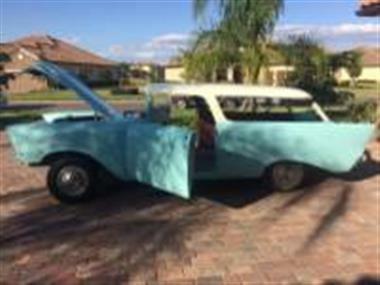 1957 Chevrolet Nomad in Lakewood Ranch, FL for sale. 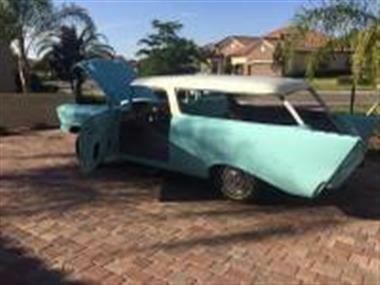 </p><p>Early 1957 Nomad factory FI car. Solid lifter 283/283, California blackplate car.</p><p>This is one of 106 known factory fuel injected Nomads, One of18 known 283/283solid lifter cars. It is well documented and featured in an early 70s book Chevrolet: USA 1, and illustrated history of Chevrolet passengercars. All the date codes are within 3 months of the build date and so is considered numbers matching. 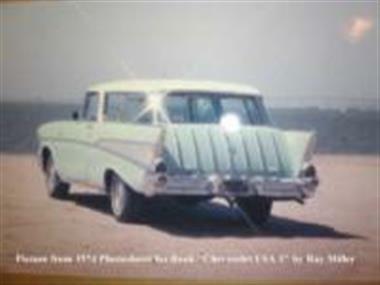 It is an original California Black Plate car. I have the original plates, even the original license plate shroud from City Chevrolet in San Diego where it was purchased. 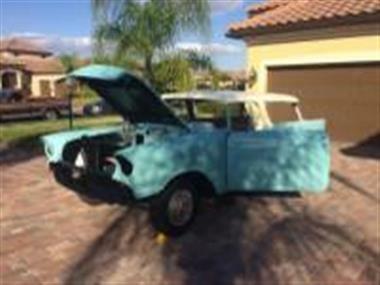 It has the mechanical lifter 283 with the Rochester FI, power steering, power wipers, Wonderbar stereo.Everything in the drive train has been restored; engine, trans, rear-end, suspension, brakes, fuel system. The Fuel Injection unit was rebuilt by Jack Podell.The body came back from media and we replaced the rusted panels (of which there were very few, the spare tire well and a few cargo floor pieces). 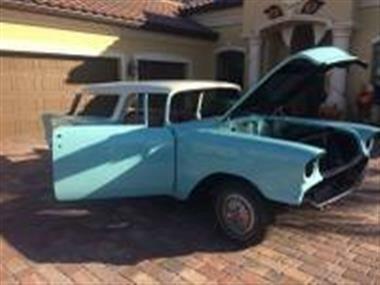 All major body work is done; the body is on the frame after being painted back to the original Larkspur Blue with India Ivory top.</p><p>I am the third registered owner. The first owner had it for less than a year and sold it to Nathan Waterson. Nathan was an Army lifer and had this car for 48 years. He loved the car and brought it from California to Florida in the 70s. I have been in touch with the family and they have told me great stories about the car. Like the time the standalone garage caught fire and Nathan ran in to drive the Nomad out leaving a Supercheif and split window vette to burn. His daughters grew up in the car and remember, how he would put the seats flat in the back and floor itgoing up hills so they could slide back to the tail gate. 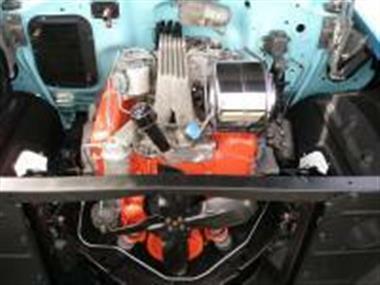 Nathan drag raced the car for many years in factory stock classes and of course won most everything, because who would option a 283hp corvette motor into a station wagon.</p><p>It is an awesome piece of history, with a great pedigree. 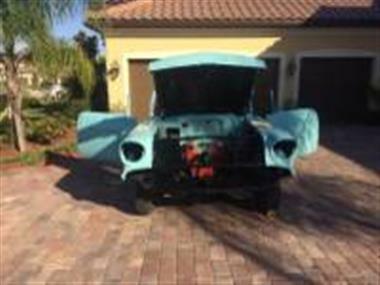 It is complete car, everything is labeled and catalogued.</p><p>Will consider trades, pre70s cars, truck or bikes, must be running or near to it. no rust buckets or basket cases. 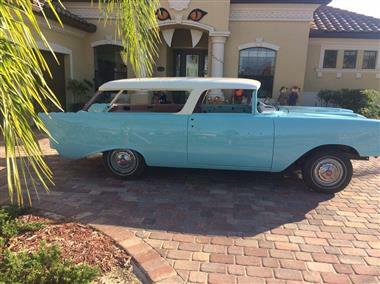 This vehicle is priced $22,872 less than the Average Market Price of $77,872 for a 1957 Chevrolet Nomad. This is a Good Deal as it's priced 29.0 % below market avg. The Pie chart below shows the number of ads within different price ranges.